On June 16th in front of a host of familiar faces and special guests, the Matt Haycox foundation, a charity that was created to help disadvantaged people and charities across the UK, was launched at The Houses of Parliament. 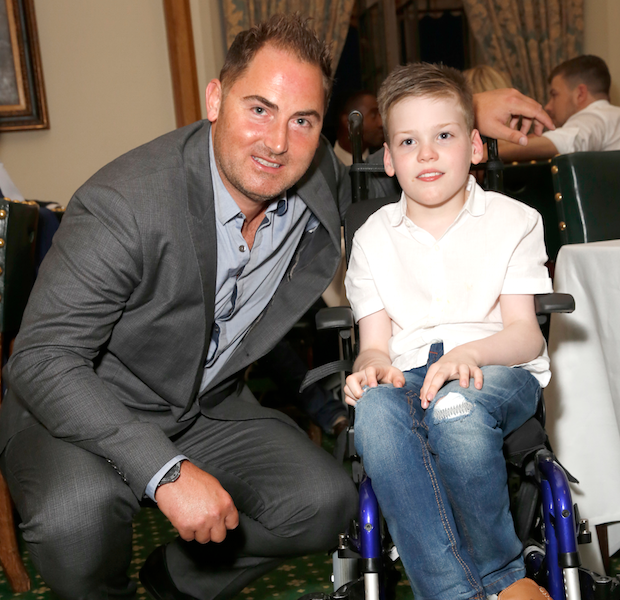 Matt Haycox gave a heartfelt speech, with 9-year-old Alfie who he helped through the foundation, looking on. It was after meeting Alfie that Haycox was inspired to set up the foundation; the little boy suffers from cerebral palsy. Matt shared how he wanted to not make ‘a’ difference, but ‘the’ difference by helping 2 or 3 cases a year. 9-year-old Alfie Smith dreamed one day of being able to walk unaided; a dream that his family desperately wanted to fulfill. Diagnosed with cerebral palsy at 16 months old, Alfie had until June last year to undergo surgery, or his condition will have deteriorated too greatly for him to be eligible for an operation. His family started a campaign to raise money to fund the selective dorsal rhizotomy (SDR) surgery, and after a chance meeting with Matt at a Hartlepool United football game, they were able to raise enough money to fund the surgery thanks to Matt’s sizeable contribution. Buoyed by the experience of helping change Alfie’s life for the better, Matt has set up a foundation aimed at making a difference to causes that are close to home. The Matt Haycox foundation aspires to raise funds to ensure cases like Alfie’s receive the financial backing and emotional support they require. Being an international investor, Matt has multiple projects under careful watch; however, he was quoted as stating that the foundation is the most important investment he has ever made. Guests included Shameless star Karen Bryson MBE, TOWIE star Kate Wright, Emmerdale star Gemma Oaten, Blue star Simon Webbe, actor Ashley Walters, Holby star Chizzy Akudolu, Hollyoaks star Stephanie Wareing and more.